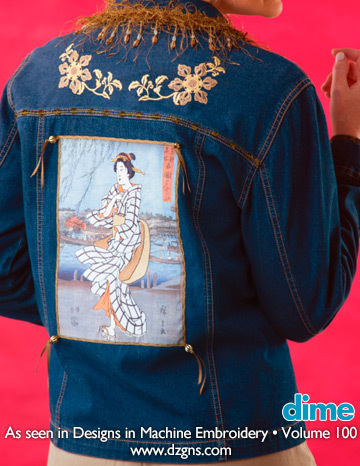 This technique is featured on my jean jacket in Designs in Machine Embroidery volume 100, September /October 2016. Click on the PDF icon below to download this Free tip sheet. PRINT AND STITCH EMBROIDERY begins on page 30 of dime!